After the ridiculous story that broke yesterday about pizza being qualified as a vegetable by the USDA for US School Lunches, I just have to write! When the pizza industry rules the world, it’s a SAD day! According to an ABC news article the details boil down to cost and big business influence where dairy, wheat and mystery meat are the standard. Well, this momma doesn’t play that way… and I’m not alone! I think it’s time that we stand up and say, “There’s a new sheriff in town!” and actually mean it! UGH! Stand with me and make a change in your family. Start where you are able. If you’ve followed me for any length of time, you know that I adore Dr. Fuhrman. 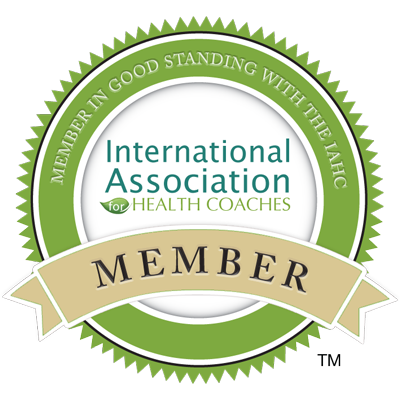 His “Nutritarian” approach to eating literally changed my health in the span of a few months and has given me back a balanced, nearly pain free body despite my psoriatic arthritis diagnosis. I make nutrient dense foods the main players in my meals (I almost wrote that I “try” to make them the main players, but, as my inner Yoda reminds me: “Do or Do Not. There is no Try.” LOL!) Now, if any of you follow Dr. Joel Fuhrman, you may have heard this acronym that he uses “GOMBBS” — it’s an easy way to remember a list of potent antioxidant rich foods that Fuhrman cites not only as being superfoods, but also as being part of a cancer preventative way to eat. So, GOMBBS foods are Greens, Onions, Mushrooms, Berries/Beans, and Seeds/Nuts. There is a plethora of science backing the goodness of these guys. You can read more about that here. My vegetable rich, GOMBBS filled Pad Thai is an example of how I pack our family meals with all the goodness I can while still making something that tastes great, is high in fiber, gluten free and dairy free (to meet our requirements from allergy and intolerances). I used to make this dish with white rice noodles but have found brown rice noodles that offer more fiber than their counterpart while adding a pleasant nuttiness. If you can find them, give them a try. If not, use traditional white rice maifun. Either way, know that you are making a meal that is colorful, flavorful and healthful! This makes a generous 6-8 portions and it reheats beautifully for lunch or a meal another day. Enjoy! Put rice noodles into a large bowl and pour hot water over them. You want the noodles covered with hot water so they soften. In the now, heat a wok or large cast iron skillet and add a bit of oil. Toss in your garlic and tofu. We want them to get golden, but not brown. Stir often with a metal spatula and remove everything to a big serving bowl after about 5 minutes or when yours are golden and fragrant. In the same hot skillet that you just took the garlic and tofu out of, throw in all the veggies except the mushroom and get them going. These guys are going to work for about 4 minutes. While the veggies are sweating, mix the tamari, vinegar, tamarind, sriracha, goji and dates in your Vitamix or food processor until you have a smooth sauce. Taste it and adjust the seasoning to suite your taste if necessary. Check the veggies and give them a few good stirs. Add the mushrooms into the mix. We are looking for the veggies to get soft, but not mushy and the mushrooms end up keeping a nice toothsome bite since we’re arriving to the party fashionably late. 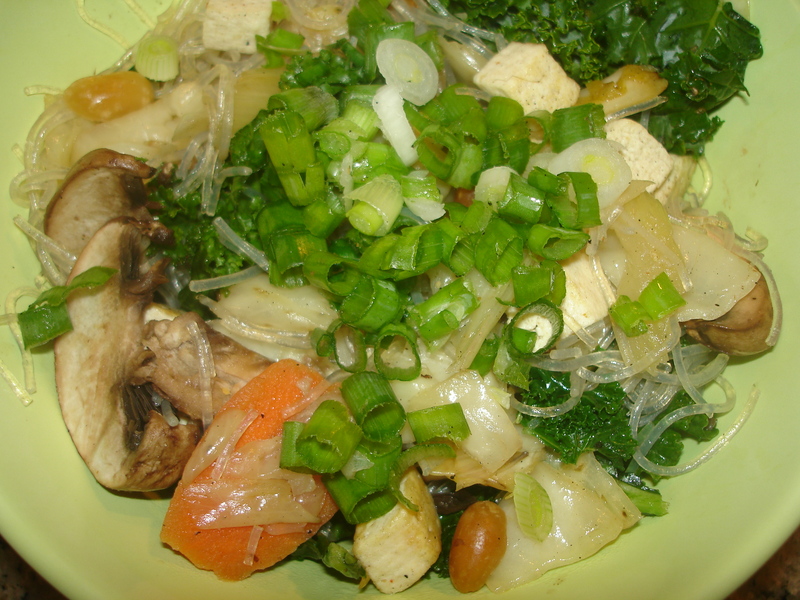 Give the veggies another 3-4 minutes then transfer them to the serving bowl right on top of the garlic and tofu. Add a tiny bit of oil to your pan. While it’s heating, drain the noodles that were soaking. Add the noodles to the hot pan and immediately stir them around. Pour the sauce over the top and use tongs or a big spoon to combine everything. You want to keep the noodles moving so they don’t stick. Once they’re hot and the sauce is fragrant tip the veggies, tofu and garlic back into the pan. Add the peanuts. Use tongs to combine everything. Transfer the lot to the serving bowl or straight onto dishes if you prefer. Top with the sliced green onion and extra peanuts if you like. YUM! This entry was posted in Berry, bok choy, carrot, dates, Dinner, Family Friendly, kale, lunch, mushroom, Nuts, rice, Thai, tofu and tagged brown rice noodle, Dr. Fuhrman, gluten free, Goji, GOMBBS, GOMBS, maifun, pad thai, rice noodle, school lunch reform, tamarind, vegan. Bookmark the permalink. This looks soooo good! I was definitly saddened too by the “pizza is a vegetable” story. If I ever have kids, they’re bringing a bag lunch to school!